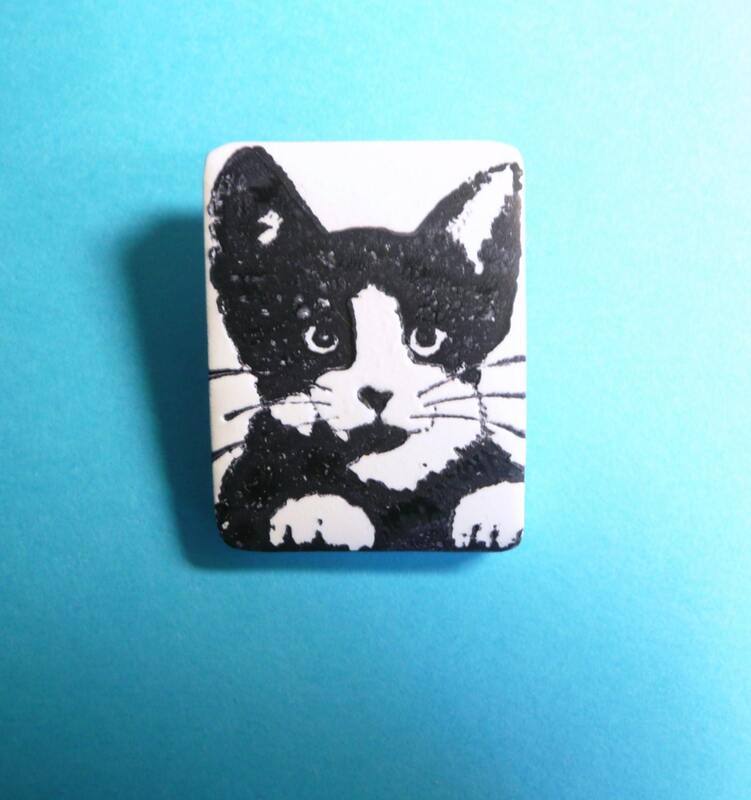 Cat jewelry makes a "purrfect" gift for the cat lover! This small lightweight pin features a stamped image of a tuxedo (black and white) cat's face and front paws. It's sealed with glossy acrylic varnish.